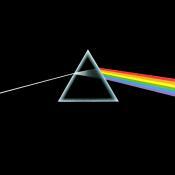 Sometimes is strange to listen only one track from "The Dark Side of The Moon", the entire album(all the tracks) is a masterpiece. An extremely well executed and entertaining art rock album. It may not be Pink Floyd's best record, but it's still really great. I still fail to see how I could get 2500 albums into my escapade into music without listening to what is perhaps the most iconic and widely praised album of all time.